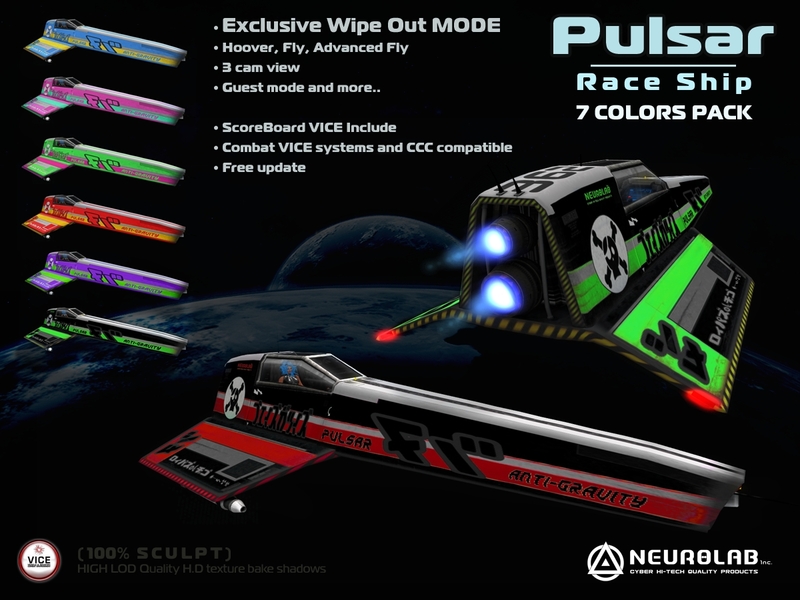 Ultra realistic, sculpted Race ship with 4 fly mode (Wipe Out mode Exclusive), 3 cam view mode and complete combat system. Wipe Out, Hoover, Fly, Advanced Fly. camera dynamic, camera locked and mouse move. * Guest mode: activate On/Off provisory . * Start: start your engine. 2. right click and choose USE menu. 3. click to menu and START. 4. Activate weapon Say ‘vice on’ in local chat to enable VICE combat and “vice off” for stop. – you can choose a Team: write ‘team 1’ or 2,3,4.